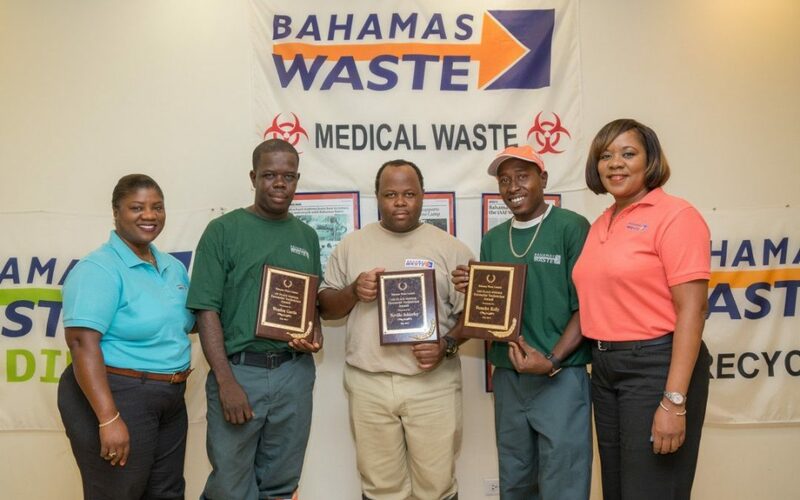 New Providence, Bahamas –Bahamas Waste (BW), the island’s number one waste management company, recently set out on a mission to honour their hard-working garbage technicians who, truly do the dirty work! In early June, the company put out a call in the media for residents to vote and choose their favourite garbage technician, and to post their choices on the company’s Facebook page. Scores of residents from across the island logged on to have their votes counted in #MyGarbageTech Social Media competition. The launch of the social media competition gave customers the opportunity to play an active part in recognizing the work which these technicians do every day. To register their entries, residents were instructed to post a photo of their favourite technician to the company’s Facebook page using the hashtag #MyGarbageTech. The company narrowed down their finalists to eight, hard-working staff, who had received hundreds of votes. When the votes were counted, Wendon Curtis, a two-year operations employee working in the residential collections area, received the most votes along with a myriad of customer comments praising him for his hard work, dedication and professionalism. One Facebook user described Curtis as “a hard worker” and “very passionate about his job” while another simply declared him as “My Fave!” As a reward for his efforts, Mr Curtis received a monetary prize as well as a plaque of appreciation in addition to being featured on the company’s new signboard. “It really comes down to being responsible and really caring about the job I have to do” Curtis explained. “I really can’t say thank you enough to everyone who voted for me”. Neville Adderley, a thirteen-year employee rounded out the top three and accepted his plaque of appreciation alongside his colleagues. “This has been such a rewarding experience, and it’s really nice to know that persons value the work that we do, even though it might be a dirty job”.